Kate Cooper cut all ties to her NYPD precinct and dumped her cheating fiancé. Jay Savage has gained custody of his teenage nephew and needs a stable job yesterday. 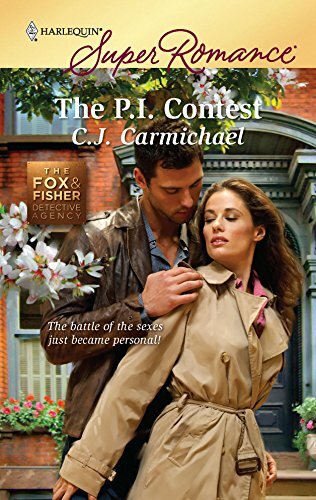 When both are offered the only available position at the Fox & Fisher Detective Agency, the obvious solution is to pit seasoned pro against amateur sleuth. And may the best investigator win. But what happens when this professional competition gets personal? There's no denying the attraction between these adversaries, but they have different dreams for the future. There's more on the line than a simple career change. In this contest, they're playing for the heart.